This year we have started using oxalic acid in the spring instead of MAQS or mite away quick strips. Both oxalic acid and formic acid are present in honey and are organic acids so they are considered natural or organic miticide treatments. Even so, they are quite harsh to work with. Formic acid has a very strong smell. It seems to be more potent than vinegar and more irritating. It is very effective and tests by the MAQS manufacturer say that it will kill mites under cappings. This is important. Even so, we have found it to be hard on the bees and especially the queens. It is hard to prove if they become physically damaged by my the miticide or if the prolonged exposure to the smelly acid causes the bees to think that her queen pheromone is not present, and deduce that she is failing or not actually alive anymore despite the fact that she is present. 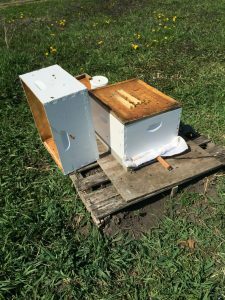 Based on discussions we have had with other beekeepers this seems to be a problem that can happen, but it is not always a regular occurrence. Weather and age of the queen probably play into this quite a bit as well. We have also heard that formic acid is not as good as it used to be at killing mites. These issues and reports are pushing us to try something new. Oxalic acid has been used in Europe and Canada for many years. There are two methods of application – vaporization and dribble. Most beekeepers and scientists that study its effectiveness claim that it kills 90% or more of the mites present on the bees when the treatment is applied. Even so it does not kill the mites under the cappings. To do this, vaporization is commonly used to kill the mites within the open cells during periods of low or no brood rearing. Otherwise the dribble method can be used for easy and quick application. Randy Oliver has been studying oxalic acid recently and he does prefer the dribble method. We applied oxalic acid to all of our colonies this spring. 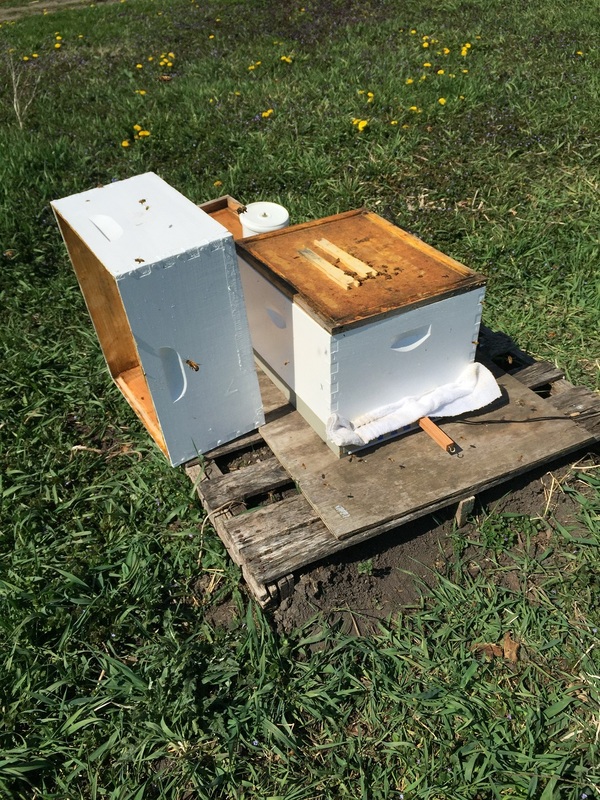 The packages were vaporized with a few days of being installed in their hives. We also treated all of our overwintered colonies three times approximately eight days apart to kill mites on the bees and in the cells that were open at the time. 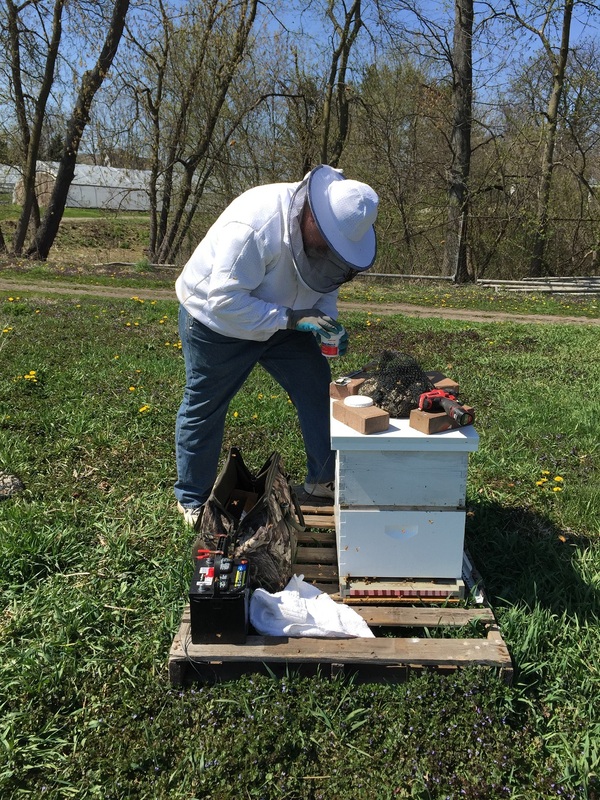 Mite testing showed that at the beginning of June, our hives were mite free. The test we used was the alcohol was test. A sample of bees are taken, placed in the washing cup or device, rinsed with an alcohol solution, and then the mites that come off the bees are counted. All of the samples came up zero mites!!! We will be trying the three treatment vaporization method later in the season to see how it performs in the fall as well.